Is your pet microchipped? If not - it's something everyone should seriously consider doing for their pet. 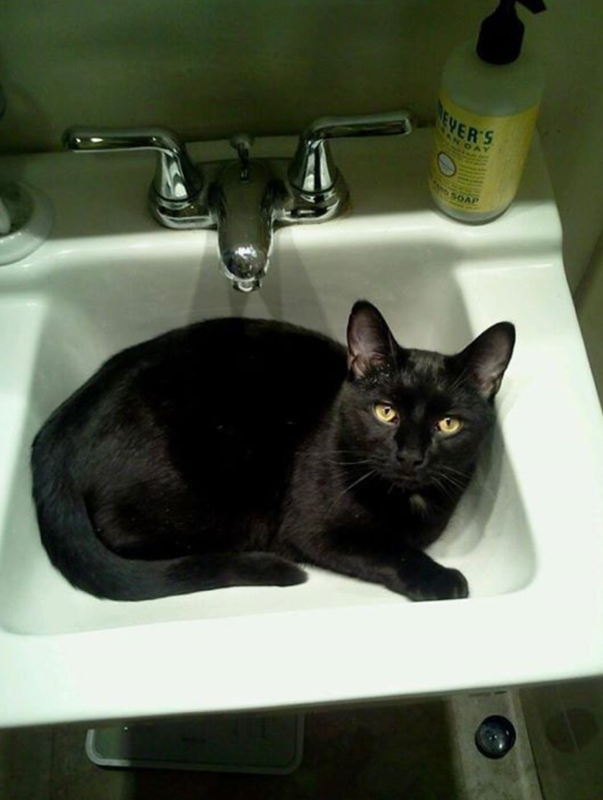 When Ingrid moved here almost three years ago from New Hampshire, her cat Puppy (pictured below enjoying a nap in the sink) ran away and was missing for a year. She then one night got a call from someone who had trapped him, brought him to a vet where they scanned him, and was able to get her information to bring him back home to her! If he hadn't been microchipped - who knows where he would have ended up. It's a quick poke in their scruff, the microchip itself is smaller than a grain of rice, and off you go! It's worth the one time fee to make sure your pet will always be linked to your name and phone number - you never know if or how your pet may go missing. Call if you have any questions about microchipping or if you want to set up a time to get your pet in for this painless and quick procedure!